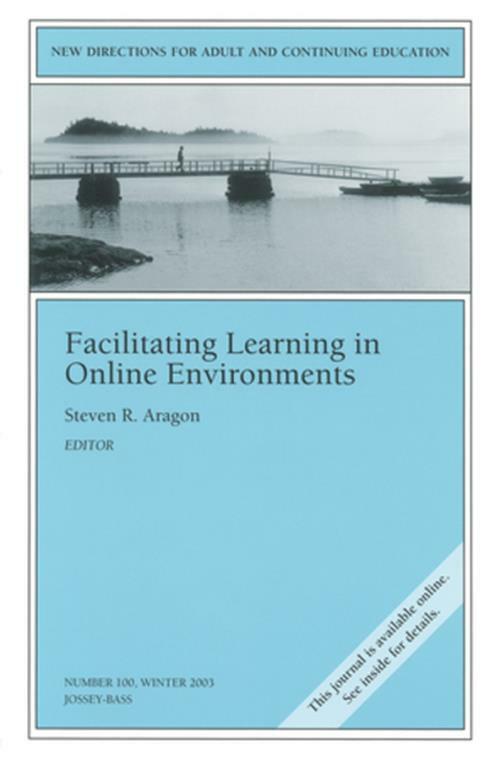 This volume presents models, methods, and strategies that facilitate and promote learning within online environments.Arguing that success in online environments is dependent on the role of autonomy in order to create sustained and enduring learners, the introductory chapter presents current research and identifies ways through which autonomous learning is established within the learning environment. Contributors demonstrate how quality online programs are made up of a "blend" of technology, pedogogy, organization, strategy, and vision; explore the concept of online social presence as a significant factor in improving instructional effectiveness and contributing to a feeling of community among learners; and offer strategies for instructors facing the new challenges and opportunities of the online educational experience. Two chapters examine master′s level online programming by exploring a model through which the design template for one such program was built and presenting the actual experiences students who completed master′s degrees online. Editor Steven R. Aragon joins his colleagues to make the case that instructional designers need ways to support quality teaching and learning within online environments that take into account the variability in student learning styles, provide external motivation for the isolated students, and build community, collaboration, and communications among learners. Finally, contributors from the field analyze the impact that online technology is having on training and development initiatives of business and industry and demonstrate how current trends have cultivated an environment open to online learning. This is the 100th issue of the Jossey Bass series New Directions for Adult and Continuing Education.